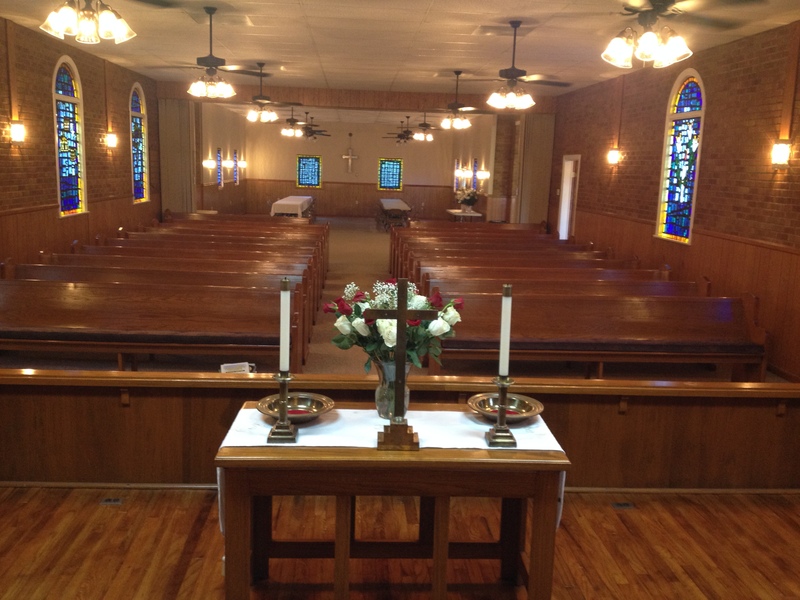 View of the redecorated Pine Ridge UMC from the platform. New items include: paint, ceiling fans, sconces, carpet, and refinished wood on the platform. Recently we completed some renovations at the Pine Ridge church. They came out great and we really appreciate everyone, both volunteer and paid, who worked so hard to make our church building a worshipful, beautiful place. 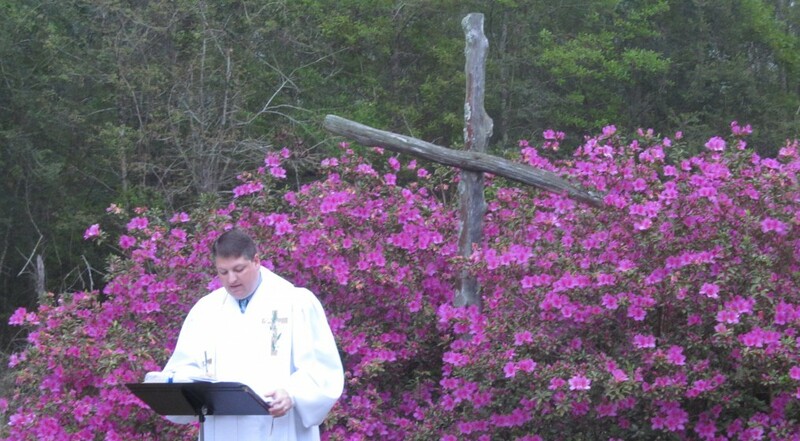 It is a true sanctuary and I always look forward to meeting God, and the people of God, in that place where the sunlight streams in through the stained glass windows. 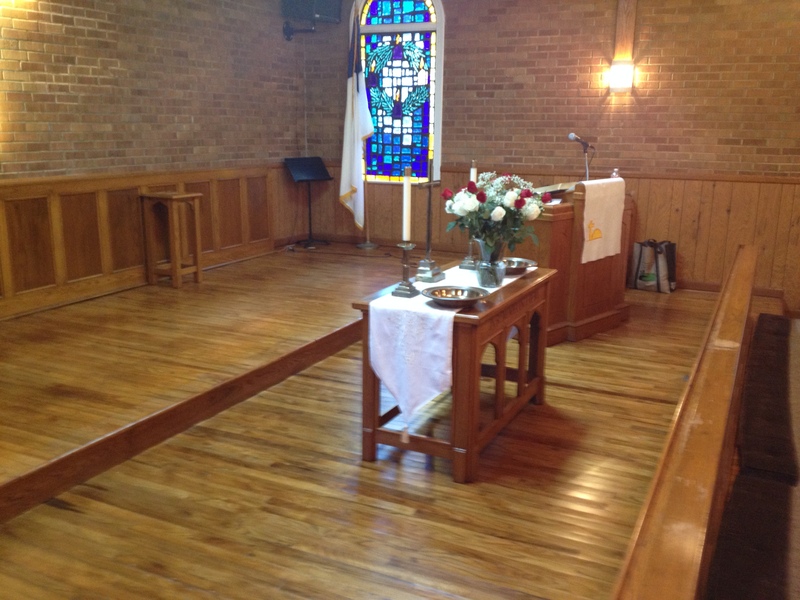 The Pine Ridge UMC platform with newly refinished wood floors. His remark got me to considering the difference between redecorating vs. renovating. Now, I am not a general contractor and my construction experience is VERY limited (in fact, I do much better at destruction than construction) but, at least to this friend, there was a vast difference between redecorating and renovating. In his mind, renovation meant making structural changes to a building, while redecorating consisted of changing the furnishings and painting. To him, renovations required much deeper and substantive changes while redecorating was simpler (though definitely not easy) with mostly surface changes. I couldn’t help but wonder about how this might speak to our lives. Are we redecorating when what we really need are renovations? Do we “paint” a smile on our face even when we are hurting and breaking inside? When some one asks “how are you today?”, do we say “I’m fine” even though we’re not? Do we move the people and furnishings of our life around, when we really need deeper, structural changes? These are tough, deep, and possibly painful questions for us to consider. So how do we renovate instead of redecorate? For me, it starts with faith in God. Even with the best of intentions, my efforts for self improvement often fail. I say “I’m going to change” or “I’m going to do better” and I may, for a while, but soon I find myself falling back into old habits. In my experience, only God can change the heart and only God can do the kind of deep, structural renovations that we really need to become the people God created us to be. So the next time you and I paint a smile on our face when we’re hurting inside, or when we tell someone “I’m fine”, even though we’re not, I hope you’ll pause for a moment to ask yourself, and God, if you are redecorating or renovating. ← A Church Dog or a Church Cat?